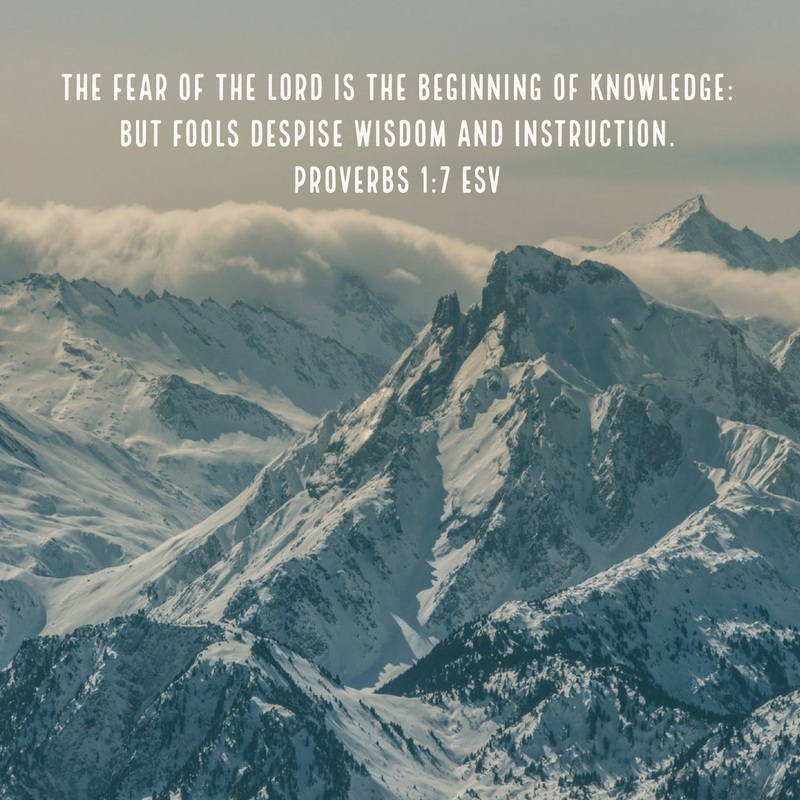 Several years ago, I had heard Edwin Louis Cole encourage the men attending the conference he was speaking at, to read the book of Proverbs daily throughout the month, gaining wisdom to face the day. to discern good from evil." Another quote that I've enjoyed from Dr. Cole is when he said, "The principles and promises of the Bible are the keys to the Kingdom." How true! There was a man whom was part of the church I was fortunate to pastor, and reading Proverbs every day was his daily discipline. I have heard that when he spoke, he spoke with wisdom and it wasn't so much that he may have been quoting a verse from Proverbs explicitly, but the Bible became his daily source of strength and for him, the exercise of daily growing in knowing God. So here begins a new year, 2018, and I'll start again to read one chapter of Proverbs that corresponds to the date of the month. If you follow this format, you will read the book of Proverbs twelve times throughout the year. The starting point of becoming a wise person is to know that God is supremely wise above all. Only an arrogant person would believe themselves to be wise because they arrogantly reject the teachings of Scripture. The Hebrew word for fool is the word evil, pronounced eh-veel and it describes a person who arrogantly rejects the God’s teachings from Scripture, as foolish, or an idiot. So, someone who is foolish enough to reject the teachings of God from Scripture, it reveals the non-existent relationship that they have with Him. However, someone who does have a relationship with the Lord, the level of knowledge gained is relevant to the depth of the revelation they have received from His Word. Essentially, the deeper one grows in their relationship with God, the greater and stronger their relationship will be with Him because of how well and how much they know who God is, for themselves. Surely, there are some wise people whom a person may benefit from their counsel, but there is none wiser than God and to have a healthy and proper understanding of the wisdom of God from Scripture is where we must all begin. Whenever a believer reaches out to another believer for counsel, the counsel given should always be based on the Word of God and you can sense it too. Many people are looking for direction for their lives at the beginning of this new year and God’s Holy Word is the place to begin to find wisdom in that direction. A direction that ultimately leads to Himself. Are you following His direction, or do you despise the wisdom that God has to offer for your life?